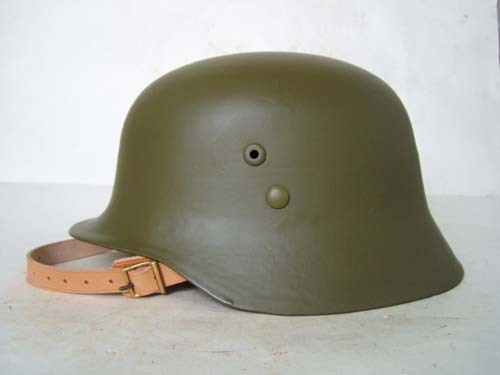 The Hungarian M38 helmet was based on the German M35 design. 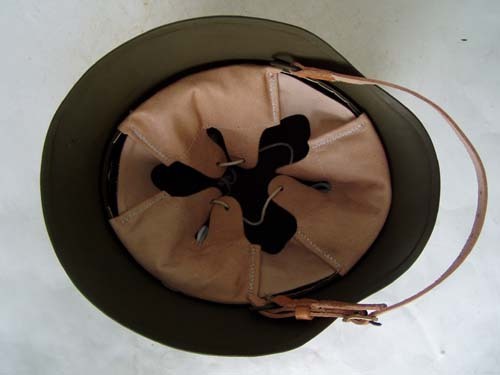 There are a few differences, including the placement of the split pins, liner design, and a bracket riveted to the back of the helmet used to secure the helmet to the knapsack when on the march. 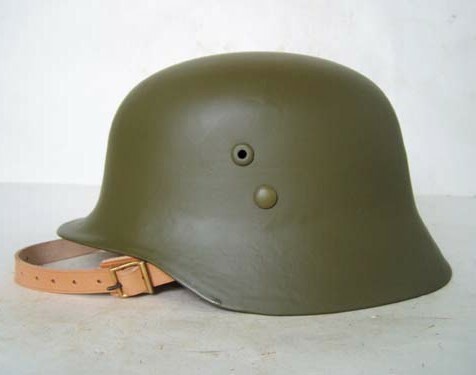 This helmet has been restored to what it would have looked like on the Don front, Russia in 1942. Every detail has been accuratly replicated, from the brass chinstrap buckle to the shade of Hungarian brown-green. If you have one of those post-war re-worked Hungarian helmets in your collection, and you’d like it restored back to the correct WWII look, Alexander & Sons are the ones for the job.